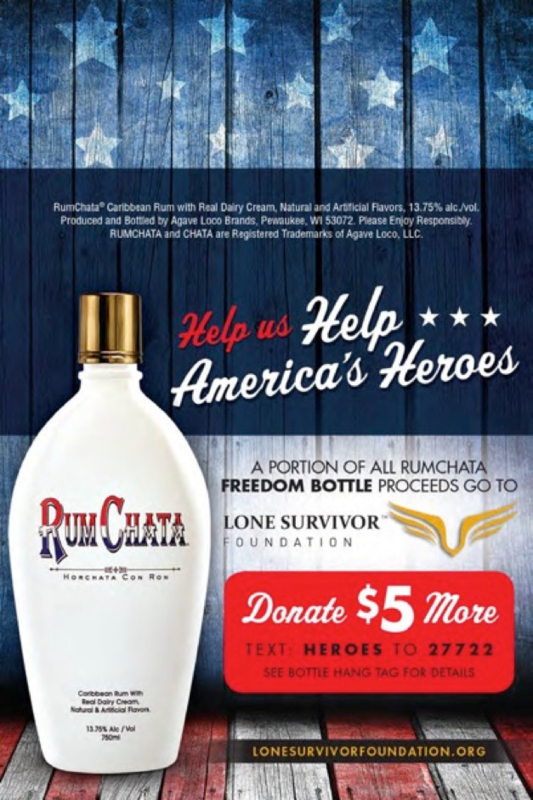 RumChata’s Freedom Bottle program has exceeded more than $500,000 in donations to Lone Survivor Foundation over the past three years. Lone Survivor Foundation (LSF) is a not-for-profit organization that restores, empowers, and renews hope for wounded service members and their families through health, wellness, and therapeutic support. The annual RumChata Foundation philanthropic program runs at retail from Memorial Day through the Fourth of July with limited-edition red, white and blue logoed RumChata bottles on shelves and floor displays. All bottles sold benefit and support LSF. The more than $500,000 raised to date has helped service members and their families to find the tools to help deal with the consequences of PTS, MTBI, MST, chronic pain and the accompanying emotional and mental stresses of the silent wounds of their combat service in supporting the lives of all who live in America. 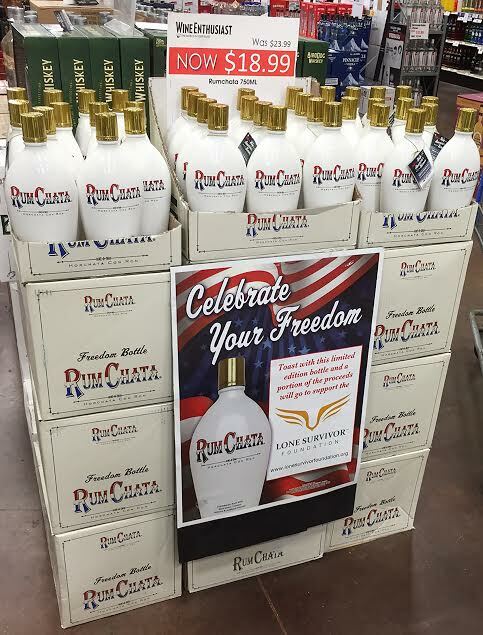 Each year, retailers are supplied red, white and blue themed RumChata Freedom Bottle display materials to decorate their shelves, aisles and end caps during the most patriotic time of year. previous post: Announcement: Lone Survivor Foundation partners with Five Finger Death Punch for the 2016 Fall U.S. Tour! next post: Limited Edition LSF NFW Watch goes on sale just in time for Christmas!